In the paper a new accuracy estimation method for fractional order transfer functions with delay is presented. 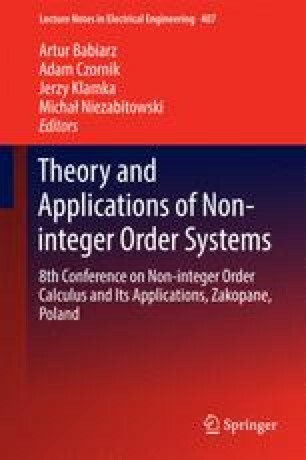 Oustaloup’s recursive approximation (ORA approximation) and Charef approximation allow us to describe fractional-order systems with the use of integer-order, proper transfer function, a delay is required to be modeled with the use of Pade approximant. Results are by simulations depicted. This paper was supported by the AGH (Poland) – project no 11.11.120.817.